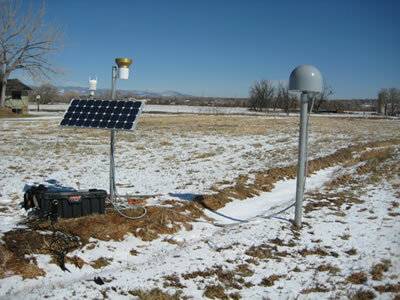 Two continuously operating GPS stations were recently installed at Munson Farms outside of Boulder, Colorado. The stations will operate for three years and are part of a larger, continental-scale study that aims to convert GPS signal-to-noise (SNR) data into estimates of surface soil moisture content. This product will be available in near-real time for climate, hydrology, and ecology applications. In addition, the soil moisture estimates will be useful for ground-truth of lower resolution satellite missions (SMOS and SMAP). This new phase of research will focus on the following topics: 1. Validation across varied soil types. 2. Quantifying the impact of vegetation on retrieval algorithms. 3. Assessing the impact of surface roughness on retrieval algorithms. 4. Determine how antenna gain and phase patterns impact SNR observations 5. Merge our theoretical understanding of multipath reflections with observations. The stations are located approximately a mile and a half apart from each other. One is located on the perimeter of a corn field and the other is in a hay field. The differing vegetation at the sites will help identify how vegetation amount and structure affect GPS-derived estimates of soil moisture. Trimble NetRS receivers are installed at both sites and are downloading hourly binex data files. Wireless communications are set up at the cornfield site, however, the grass station currently remains manual download. Figure 1 - The fully operational grass site. 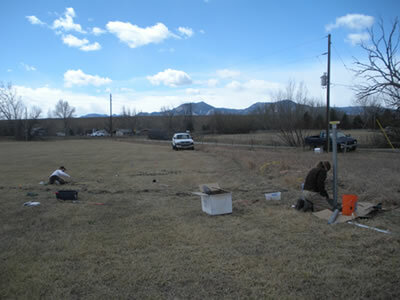 Figure 2 - PI Eric Small and UNAVCO engineer Sarah Doelger work on the installation of the grass site. 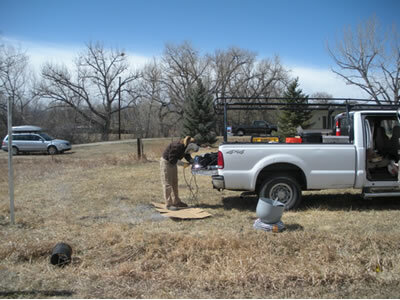 Figure 3 - UNAVCO engineer Sarah Doelger welds a fitting for the GPS monument.